We wish all of our officers and all of the officers in the chapters throughout Alpha Phi Delta Fraternity, especially those in the Connecticut District, a very successful year in 2016. Faciamus! 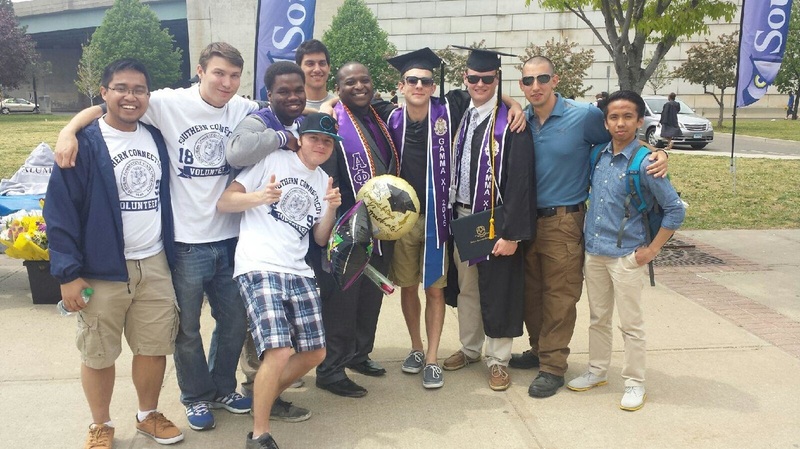 Jyreek Ellerbe, Brett O'Connell and Patrick Cooney (in their graduation garb) with their Gamma Xi Chapter (Southern Connecticut State University) brothers after SCSU's Commencement ceremonies. 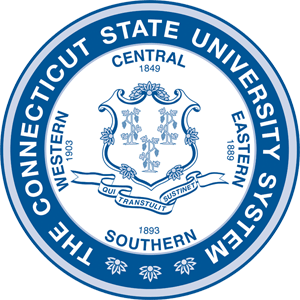 The University held its undergraduate commencement at the Webster Bank Arena in Bridgeport, Connecticut, on Friday, May 15, 2015. We wish all of our officers and all of the officers in the chapters throughout Alpha Phi Delta Fraternity, especially those in the Connecticut District, a very successful year in 2015. Faciamus! 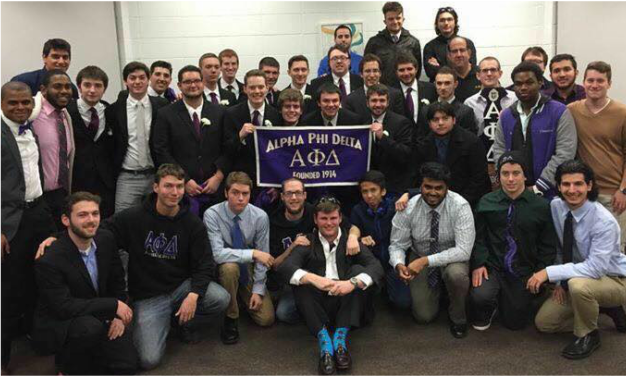 Chapter President Kyle Pasquarella (center, first from right in purple APD hooded sweatshirt) and the brother of Gamma Xi. National President Christopher Mancusi, far right.